1. Elongated aerosol mask . 5. 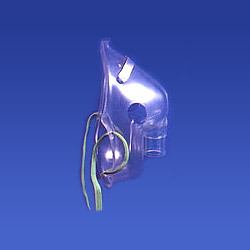 The connector will swivel through 360 degrees to allow the corrugated tubing to be fitted to the mask from any angle to avoid kinking and twisting to the tube.